Assoc. Professor Doctor Serhan Ada, born in 1955, is a faculty of Art and Cultural Management BA/MA/PhD Programmes of Istanbul Bilgi University and the founding director of santralistanbul, an international center for arts, culture and education. Serhan Ada has been a visiting professor at the Université Saint-Joseph-Beirut, University of Hildesheim, European University Viadrina in Germany and Turin School of Development, Torino (2014), University UIAV in Venice (2012, 2013 and 2014), Rutgers University (2014) and GIOCA at University of Bologna (2011), Cultural Advisor to Izmir Metropolitan Municipality, founding member of AICA Turkey (International Association of Arts Critics), Vice Chairman of Anadolu Kültür (an independent cultural network creating artistic structures and improving local cultural policies in various cities of Turkey), Member of the Executive Board of Turkish National Commission for UNESCO, President of the Turkish National Commission of UNESCO’s Committee on Cultural Diversity, an Honorary Member of the Creative Industries Council (YEKON) and founder of Cultural Industries Development Platform (KEGeP) representing Turkey in the International Federation of Coalitions on Cultural Diversity (IFCCD). 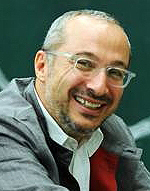 Serhan Ada is the editor of the book entitled “Turkish Cultural Policy Report: A Civil Perspective”, published in 2011 as a result of the Independent Cultural Policy Report of Turkey project, focusing on the civil society’s perspective on Cultural Policy of Turkey as an alternative to the National Report. He also edited the first book on the Turkish national cultural policy, entitled “Introduction to Cultural Policies in Turkey” and the periodical “Cultural Policy and Management Yearbook”, both published in 2009. His other publications include: “Festivals of Istanbul”, as editor, 2011 and “Emerging Cultural Continent: Actors and Networks”, as co-editor, 2008.